From Muti Music now comes a fifth remix EP from Sizzla’s stunning and critically acclaimed album Born a King, a set produced by forward-thinking Australian multi-instrumentalist and producer Mista Savona. 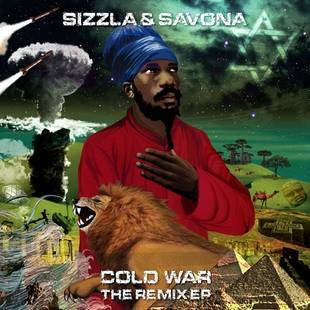 The forthcoming EP collects 13 different versions of Sizzla’s Cold War – eleven cuts of the original track and one version each from veteran singer Prince Alla and gruff dancehall deejay Bugle. It kicks off with the original six minute+ original version followed by an acoustic version along with the cuts from Prince Alla and Bugle. From there on there’s an bass boosting extravaganza created by Mista Savona himself along with Empress Shema, Om Unit, Mat the Alien, HNGVR, Sukh Knight and 3rdeye. These mostly dance music oriented producers push the concept of bass heavy music forward experimenting with dubstep, drum & bass, dancehall, jungle, steppers and reggae. Fresh new sounds with an edge. Check the EP on June 1.